Consuming fresh pears can improve blood pressure and vascular function in middle-aged men and women who are prone to developing Type 2 diabetes and cardiovascular diseases, says a new study. The clinical trial assessed the antihypertensive effects of fresh pear consumption in middle-aged men and women with metabolic syndrome (MetS), a cluster of severe cardiovascular risk factors greatly associated with the growth of chronic ailments such as Type 2 diabetes and cardiovascular disease. 50 men and women between the ages of 45 to 65 years, having three of the five features of MetS were randomly allotted to receive either 2 medium-sized fresh pears (about 178 grammes) or 50 grammes pear-flavored drink mix (placebo) every day for a period of 12 weeks. Preliminary studies of 36 participants reveal that after 12 weeks of fresh pear consumption, pulse pressure and systolic blood pressure were greatly lower than baseline levels, whereas there were no changes in the control group. 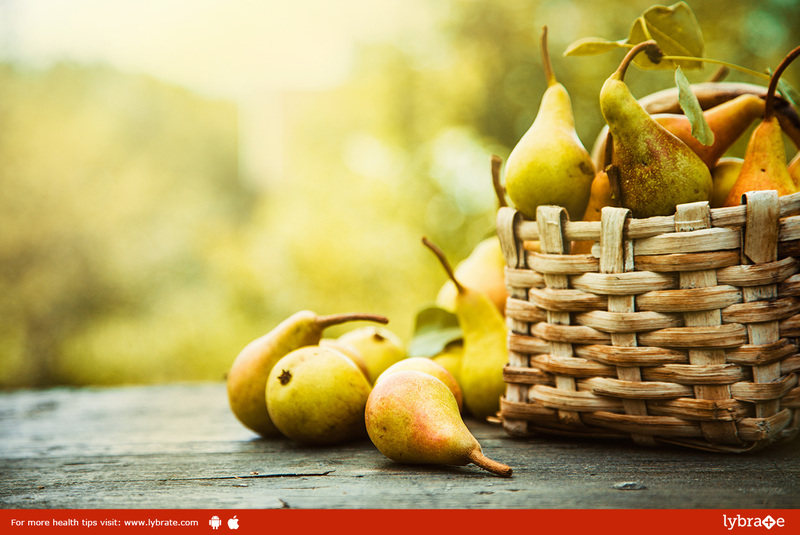 Further research is required to confirm the antihypertensive results of fresh pears as well as to analyze their impact on vascular function, according to researchers. Sarah A Johnson, the lead author of the study and professor at Florida State University, who headed the research, said that these results are giving hope. With metabolic syndrome being quite rampant in the US, the researchers realize the importance to discover the potential of functional foods like pears to improve cardiovascular risk factors and blood pressure in affected middle-aged people, Johnson said, who is now at Colorado State University. She further said, “Elevated systolic blood pressure and pulse pressure, which is the difference between systolic and diastolic blood pressure, are strong predictors of cardiovascular disease.” Vascular dysfunction related with age has been shown to speed up in people with metabolic syndrome and contributes to the increase in blood pressure, she said. Among the most popular fruits in the world, pears are a brilliant source of fiber and a good source of vitamin C, with only 100 calories every serving. One medium-sized pear offers 24 percent of regular fiber needs, according to researchers. They are cholesterol-free, sodium-free, fat-free and contain 190 mg of potassium.